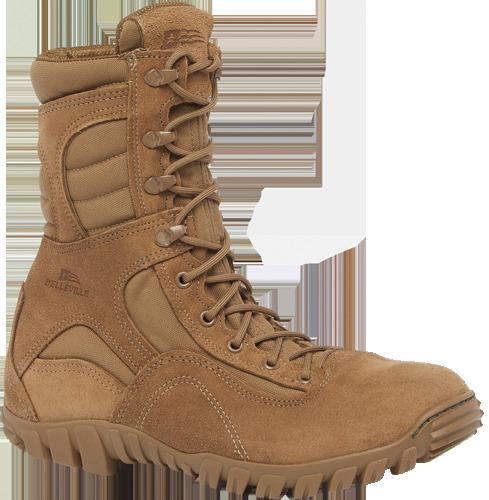 Belleville first developed the Sabre boot lineup to answer the request of military personnel asking for a lighter, low profile boot that would aid in athletic endeavors. The newest version is the Belleville 533 ST, now available in Coyote Brown for the U.S. Navy utility uniform (Navy Certification 25-CY-27-002371-22). The Sabre features a low profile lightweight design that focuses on missions that require climbing and descending on loose terrain, crawling, and rope rappeling. The Belleville 533 ST features an aggressive outsole for maximize your performance on difficult terrain. 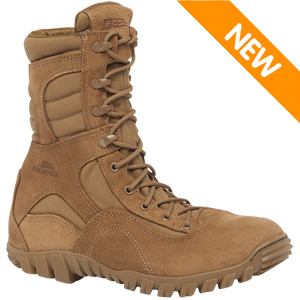 This is a hot weather boot and features a dual density EVA midsole to minimize shock to your knees and ankles. This boot is also Navy Certified and made in the USA.